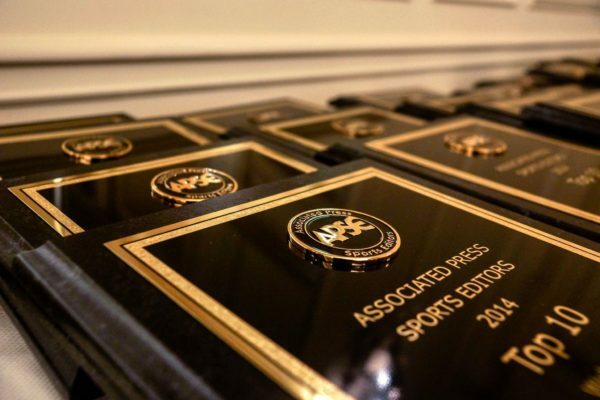 Courtney Cronin of the San Jose Mercury News/Bay Area News Group won first place in the Associated Press Sports Editors 2017 contest in long video in the 75,000-175,000 circulation category. Cronin won for a two-part video series she did on the return of NBA star Kevin Durant to Oklahoma City — his former team — as a member of the Golden State Warriors. Part I of the video can be seen here. Part II here. Cronin beat out Clark Wade of The Indianapolis Star, who placed second with his video about an inside look at a high school football team called Cathedral Football. The 75,000-175,000 long video category consists of videos longer than five minutes. Entries were judged, foremost, on the strength of storytelling. Visual and auditory quality also was considered. The return of NBA star Kevin Durant to Oklahoma City. Part I, Part II here. Inside look at a high school football team called Cathedral Football.